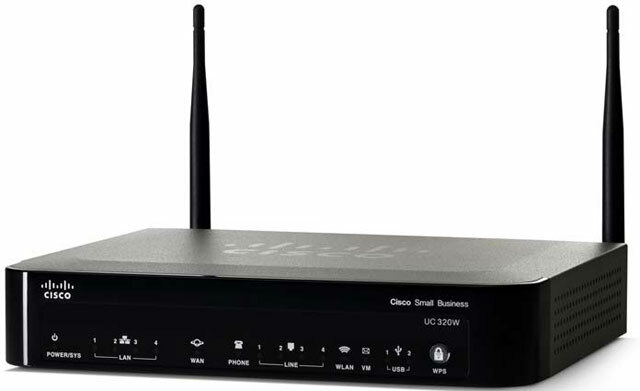 The Cisco UC320W has been discontinued. No direct replacement is available. Designed to support organizations with up to 24 employees, the UC320W offers business-class calling and messaging with full key system and small private branch exchange (PBX) features. The system is flexible enough to support a wide choice of Cisco SPA Series IP phones, and includes integrated wireless networking. The UC320W was designed with the small business owner in mind, providing all the features you need. With the UC320W, you can lower your communications expenses, improve employee productivity, and respond to customers better. The system is also designed to easily grow with your business.